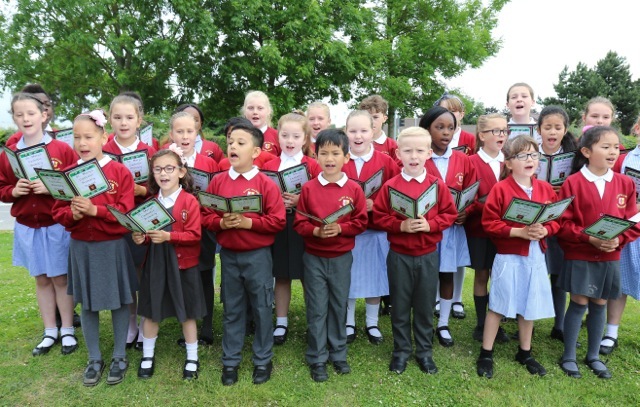 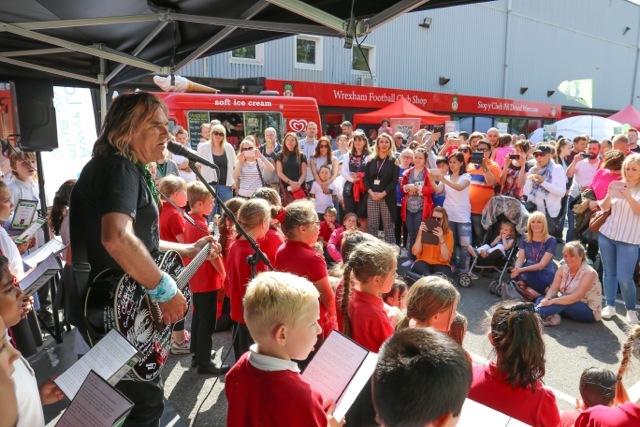 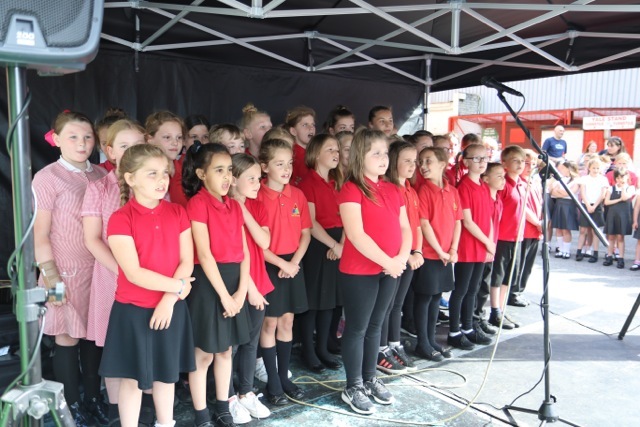 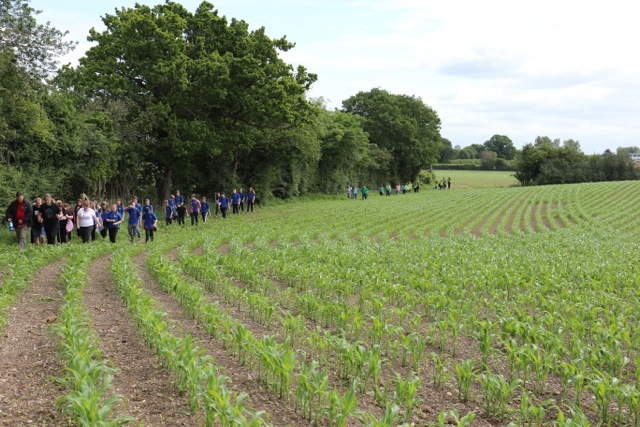 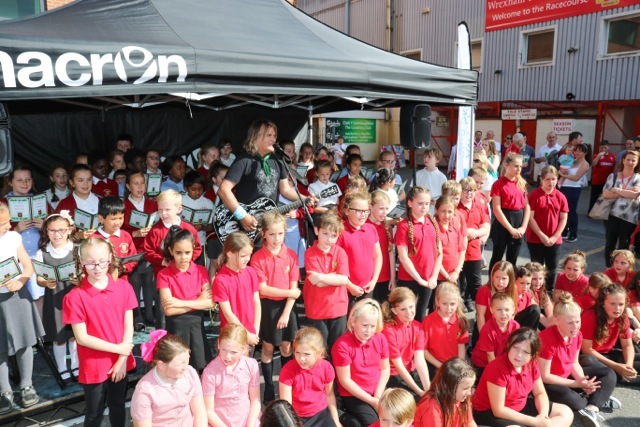 Day Two of the By Your Side Walk 2017 began with an early morning start at The Maelor Hospital in Wrexham, with a host of local school children primed for a descant version of ‘Love Hope Strength’. 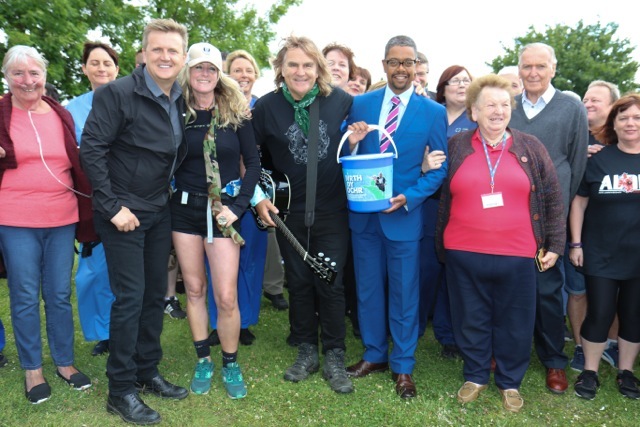 The congregation was surprised by some very special guest appearances from Aled Jones – the legendary Welsh Singer and Acclaimed TV Presenter, International Opera singer Rhys Meirion and the Welsh Health Minister Vaughan Gething AM. 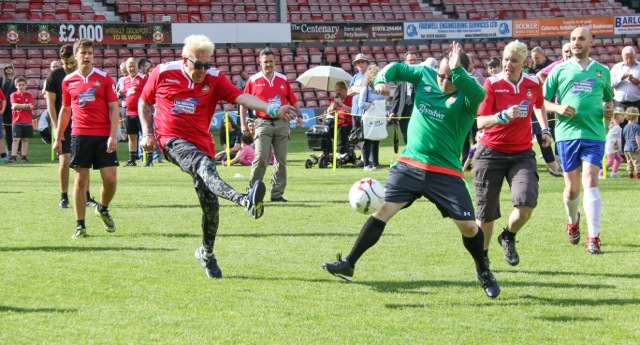 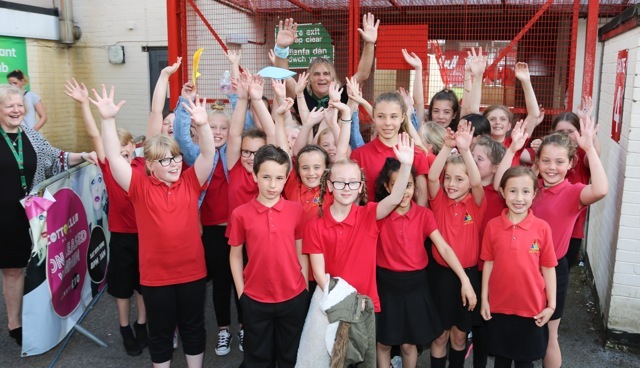 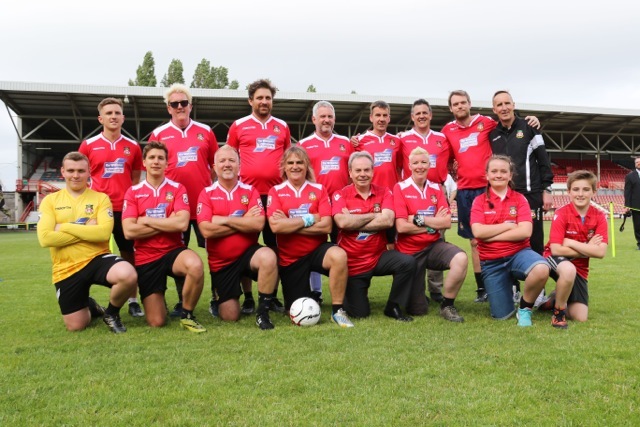 A ten mile walk around the country side was concluded with a community day at Wrexham’s Racecourse Football Stadium which coincided with the launch of the new season football kit for Wrexham AFC. 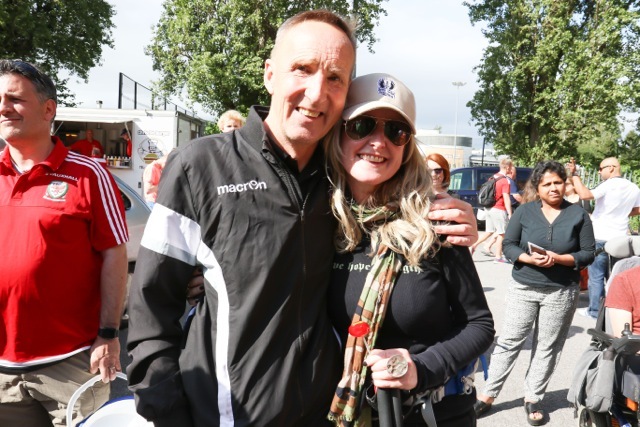 A fantastic turnout greeted Mike, Jules and the core group of By Your Side, Love Hope Strength and Awyr Las Trekkers as they arrived at the stadium lead by Welsh soccer legend Joey Jones, Wrexham MP Ian Lucas and Mark Isherwood AM (who had also taken part in the days hike). 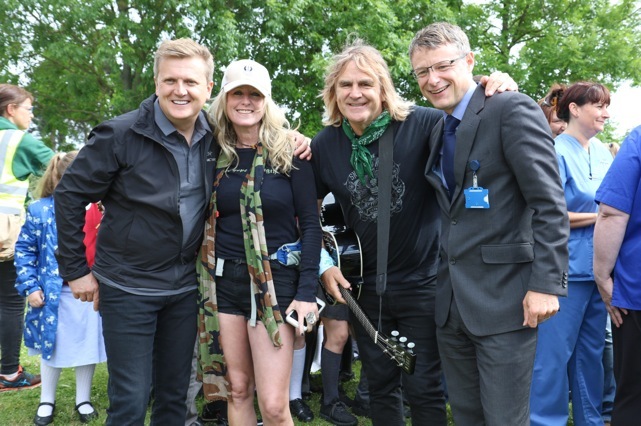 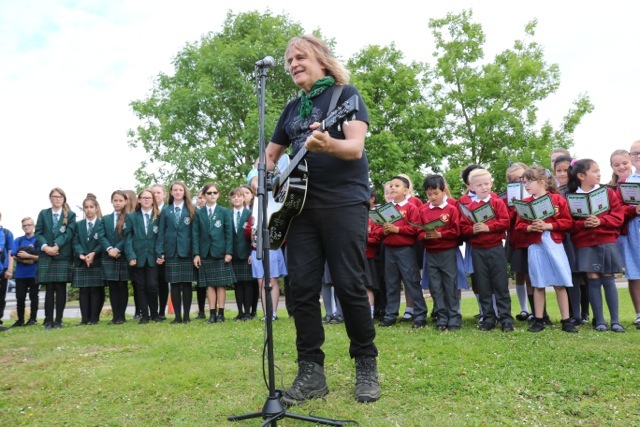 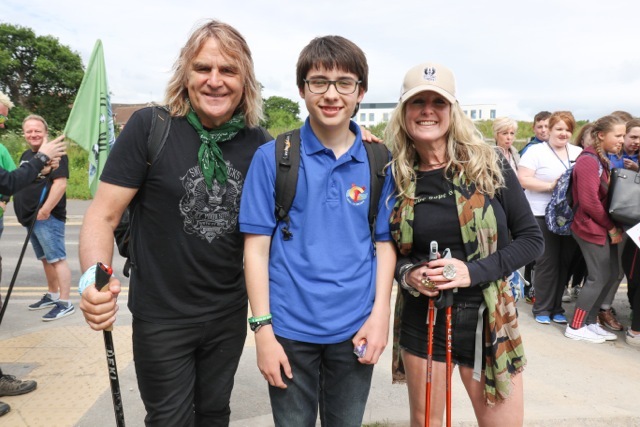 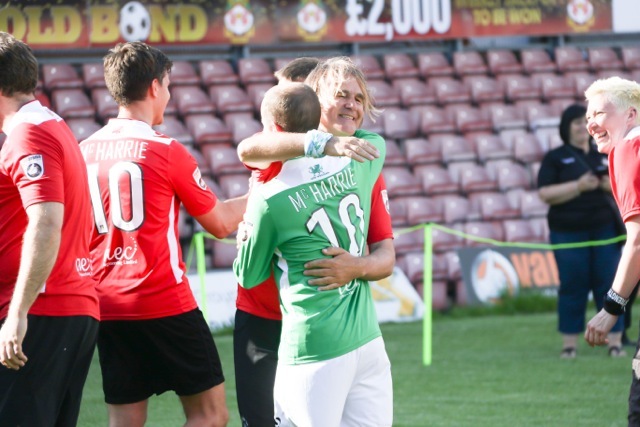 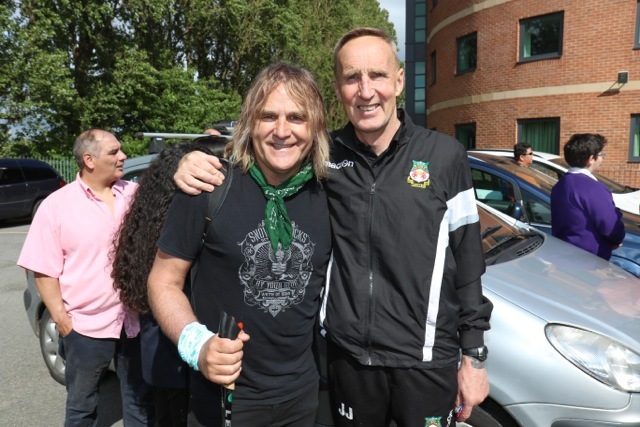 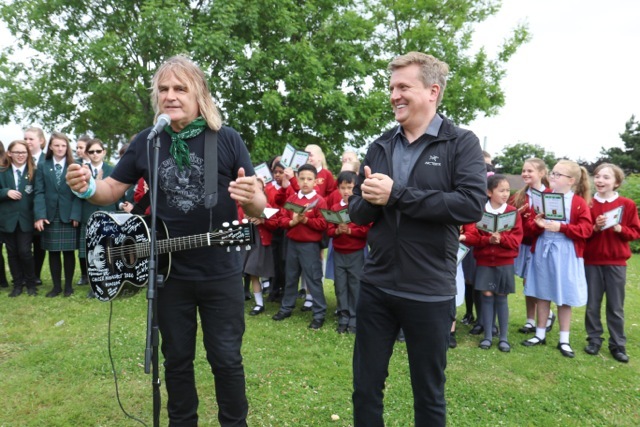 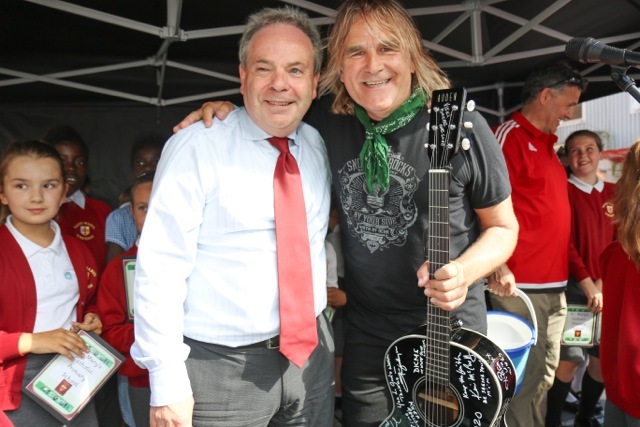 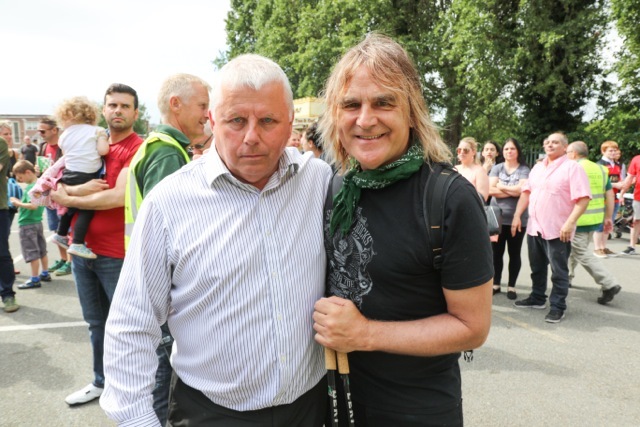 A soccer match was held on the pitch of the oldest international soccer stadium in the world, and who should pop up in the last minute to score the winner but yes… you’ve guessed it… Mike Peters himself. 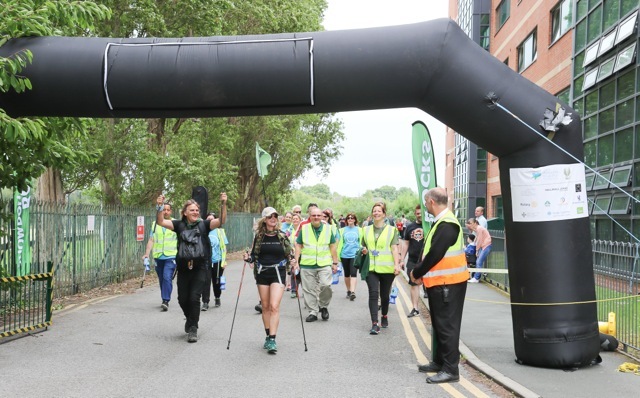 Day three will begin early tomorrow morning with a hike from the beautiful town of Llangollen and up through the magnificent Horseshoe Pass.